At LPi, our goal is to build more vibrant senior centers by providing the tools to help attract, serve, and manage the community. Our communications and member management tools drive engagement and assist communities in managing growth. Communicating with the community is key to your center’s growth. 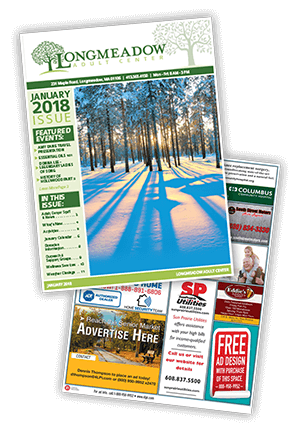 Engage new and existing members with a beautiful, full-color newsletter ... develop a brand that speaks with one unified voice ... create a relevant website that tells people what you’re about and how they can join in the fun and activity! Let staff focus on the mission of your center instead of inefficient processes and paperwork. With LPi’s member management, online payment, and event management systems, it’s easy to schedule programs, handle member registrations, and collect fees and donations. For more than 45 years, LPi has been working with our customers to make their jobs easier, help them build strong relationships within their community, and market themselves more effectively. Find out how we can make your center even more vibrant.